Professor Muhammad Yunus is one of the global leaders who has received so much of awards (including highest from different countries) and honorary doctorate degrees. Till date he has received 132 international awards, 58 honorary doctoral degrees and member and advisor of enormous international Committees and Commissions including board of the United Nations Foundation. Professor Yunus is the recipient of numerous international awards for his ideas and endeavors, including the highest US civilian award US Congressional Gold medal (2010) and US Presidential Medal for Freedom (2009), Mohamed Shabdeen Award for Science (1993), Sri Lanka; Humanitarian Award (1993), CARE, USA; World Food Prize (1994), World Food Prize Foundation, USA; Independence Day Award (1987), Bangladesh's highest award; King Hussein Humanitarian Leadership Award (2000), King Hussien Foundation, Jordan; Volvo Environment Prize (2003), Volvo Environment Prize Foundation, Sweden; Nikkei Asia Prize for Regional Growth (2004), Nihon Keizai Shimbun, Japan; Franklin D. Roosevelt Freedom Award (2006), Roosevelt Institute of The Netherlands; and the Seoul Peace Prize (2006), Seoul Peace Prize Cultural Foundation, Seoul, Korea. He is a member of the board of the United Nations Foundation. Muhammad Yunus is a Bangladeshi social entrepreneur, banker, economist, and civil society leader who was awarded the Nobel Peace Prize for founding the Grameen Bank and pioneering the concepts of microcredit and microfinance. These loans are given to entrepreneurs too poor to qualify for traditional bank loans. 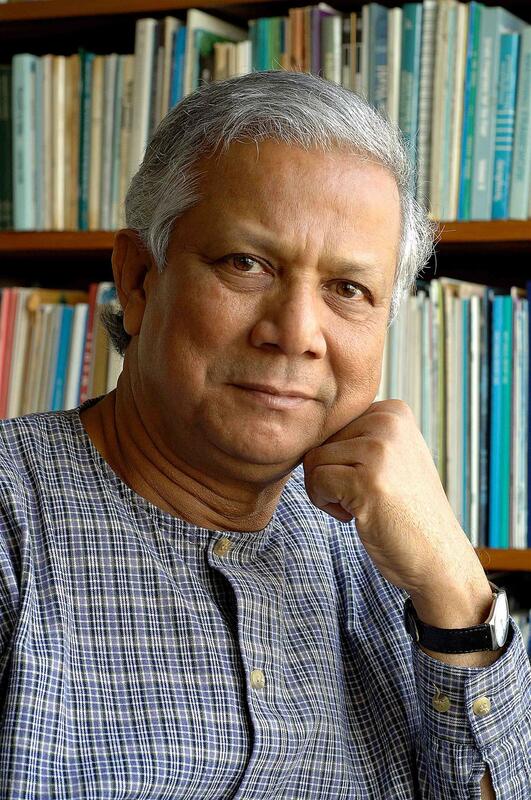 In 2006, Yunus and the Grameen Bank were jointly awarded the Nobel Peace Prize "for their efforts through microcredit to create economic and social development from below". The Norwegian Nobel Committee said that "lasting peace cannot be achieved unless large population groups find ways in which to break out of poverty" and that "across cultures and civilizations, Yunus and Grameen Bank have shown that even the poorest of the poor can work to bring about their own development". Yunus has received several other national and international honours. Prof Yunus now working to establish Social business and is described in his books Creating a world without poverty—Social Business and the future of capitalism and Building Social Business—The new kind of capitalism that serves humanity's most pressing needs. Special Lunch Costs Apply $55.00 for Non Toronto Rotarians and Guests. RSVP to office@rotarytoronto.on.ca or 416-363-0604 if attending or bringing guests.